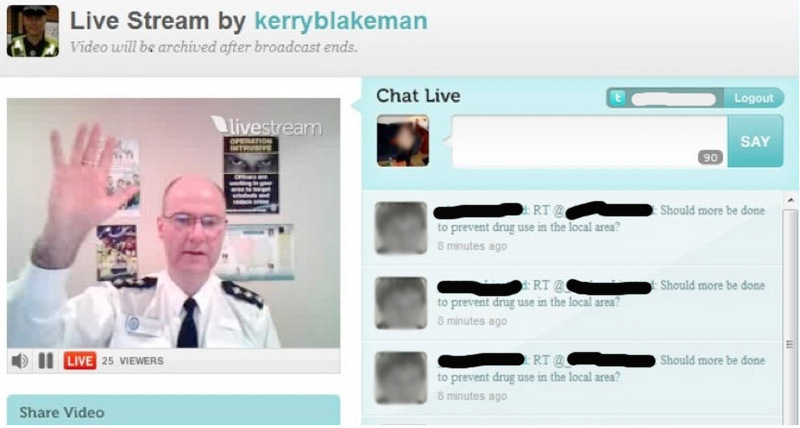 Kerry Blakeman, a Chief Inspector at West Midlands Police in England, had observed his daughter watching a live broadcast of, and sending messages to, a pop star via Twitcam. Then, it occurred to him, why not “give it a go” for policing? “So I thought actually I could do a live broadcast and people don’t have to leave their home. They can ask me questions about policing in Coventry… I wanted to reach out to different members of the community specifically young people who rarely come to one of our meetings,” he said. 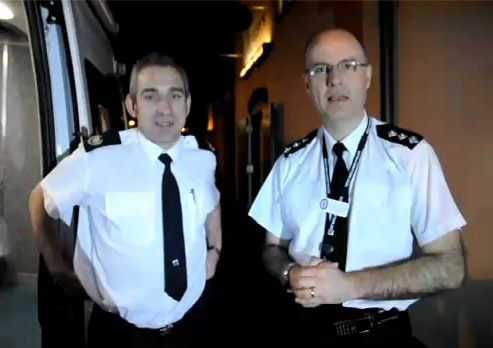 Blakeman held his first broadcast from his dining room, but since then has teamed up with Simon Shilton, Operations Commander at West Midlands Fire Department and took the Twitcam broadcasts to the streets of Coventry. CI Blakeman tweeted asking businesses in the area if they’d offer their business wifi service to the effort, “I got five replies saying come on over”. With the borrowed wifi, a cheap webcam, a tripod and a laptop, they were in business and could set up anywhere. So far, online viewers have numbered fewer than 30 but have included someone from Dubai and from the RCMP in Canada. Some locals also turn-out to watch in person. In one case, a boy-scout troop was in the audience. Even with a smallish audience they’ve already received intel from “younger people in terms of the kind of issues that we don’t normally get to hear about, like drug abuse and drug dealing,” said Blakeman. It works both ways because the citizens receive some great information as well. Blakeman said he might include a police demo in a future broadcast, perhaps even a taser demonstration. Twitcam is a Livestream product that’s been around since summer of 2009. To broadcast you need a Twitter account. Sign in with Twitter and click “broadcast”. Once the system accesses your camera and microphone, you’re online. Twitcam provides a tweetable link to send to your Twitter followers. Viewers can send the broadcaster messages via the Twitcam dashboard as illustrated here with a screenshot from Blakeman’s first broadcast. Can you do anything to ENCOURAGE Warwickshire Police to use twitter or twitcam? What is your opinion on the relationship with teenagers and police? Do you think we should have elected Police commissioners? Is the rumour true that all potential recruits to police will have 2 be specials first? Here’s a question! How can the general public help you with policing in Coventry? Burglary was at a high recently what have you been doing to drive it down? Thank you so much for your Twitcam session. It was excellent. It’s a great way for you to talk to the public. Glad it went well. I didn’t tune in – I was watching the football! 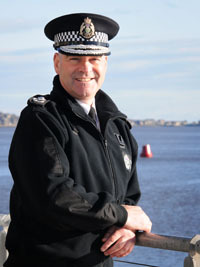 DCC Scobbie plans to implement Twitcam broadcasts at his own service in Tayside, Scotland. But he cautions that not everyone will have the skill to deliver it successfully. “This is true for all social media, the personality and ability to connect with the community and individuals is not something that everyone can do well. Officers and police staff need to have self awareness in this regard,” Scobbie said. So if you happen to find yourself in Coventry and see a cop and a firefighter talking to a tiny camera, know that what you don’t see is probably dozens, if not by then 100s of Coventry citizens receiving some fantastic public safety service from a couple of very dedicated and forward-thinking first responders. One of the best uses of social media in policing is to engage in and facilitate a two way communication with local people. One complaint I often hear however is the difficulties of finding local people – studies of Twitter use for example have shown that often the majority of followers are other professionals in the same field as the tweeter. There is nothing wrong in this of course, but if engagement with local people is the aim, then obviously you need another approach to find local people across social media sites, local websites and online communities. Below are seven tactics you can use to find local people online. 1. Google it you moron! The obvious place to start – entering a place name (town, village or area) into Google will often yield local websites, many of which have online discussion boards, and often links to Twitter and Facebook accounts. If your town name is a common one (‘London’ for example would bring up way too many matches), narrow the search down, or add the words “forum”, “discussion”, “notice board” etc to the search. Interestingly searches for ‘NAME forum’ will often bring up different results to ‘NAME “forum”‘, so try both. Google also has an option to search for places – usually on the left hand side of the search results (it might be hidden under ‘more’). Look at sites that promote local websites (often called hyperlocal sites). Have a look at http://www.hyperlocal.co.uk/ or http://openlylocal.com/hyperlocal_sites for lists of local websites in your area, or try the beta of http://www.groupsnearyou.com/. 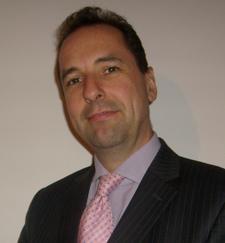 There are also specicfic interest sites such as http://www.transitionnetwork.org/ that often have local sites connected with them. Have a look at national sites as well – big sites with national coverage such as MumsNet, BikeRadar, MoneySavingExpert etc often have threads on local areas. The BBC splits its coverage down fairly locally, so you may be able to find news stories about local communities and then find links to any web sites etc. The most likley place a local website or community will start with is Facebook. Personally I don’t like the Facebook search function – it is clunky at best – but it should reveal some useful local communities if you persevere. Twitter only retains tweets for a short while, but searching for a local name should reveal some users from the locality, and they may well be able to point you towards other sites and users. Ask other people for local site recommendations, either online or offline. Any decent site will probably be reasonably well known, and posting the same question on a couple of local sites will probably reveal several more as well. I have found Twitter to be especially good for this sort of thing. The other group of people who may well have contacts would be local web designers – they may not have designed all the local sites, but they will probably have a good idea of what local sites exist in their marketplace. Use local names for places and locations – not many people even know the name of the electoral ward they live in, so local sites are more likely to be called after local names that people use. These may be as local as street names, rather than town or village names. Finally have a look at local public sector providers – council, health, police etc. They may well have links to other local organisations and sites on their website. Also look at local newspapers who may also provide links to other sites. The “toughest Sheriff in America” readily admits he doesn’t understand the precise ins and outs of the technology that we’ve come to refer to as social media. But, as with many law enforcement executives who don’t necessarily push the buttons themselves, he has developed a keen understanding of a key benefit to using social media. He summed it up this way, “We arrested ten people yesterday for drug trafficking and illegal immigration. The media won’t cover that because it makes us look good.” But Sheriff Joe and his team used every avenue at their disposal to make sure word of the arrests reached his followers through social media channels. Getting stories out that the traditional media won’t cover, or having the means to balance the scales when they do cover them but get them wrong, is one of the first benefits most law enforcement leaders realize when beginning a social media program. For many, it has become that “ah-hah” moment when it occurs to them that the benefits to using social networking tools far outweigh any risks they may fear. Mesa County (Colorado) Sheriff Stan Hilkey was vacationing in Hawaii when the earthquake and tsunami disasters hit Japan. The local media learned of his whereabouts from his online posts and soon had him reporting in from his location. And, when one local media outlet prematurely reported the names of two homicide victims, Sheriff Hilkey was still in Hawaii but used Facebook to let them know how disappointed he was. Part of the learning curve for Mesa has also been realizing that many of the things they worried about, haven’t become the big problems they thought they would be. They had to overcome some initial resistance from command staff but even they have come to appreciate the upside. She explained, “When we have a negative media story that we didn’t agree with, that used to really frustrate them. Now we have this outlet to clarify.” In the beginning they also worried about loss of productivity. “We thought people would get on Facebook all day and wouldn’t do their jobs. That just hasn’t been reality.” She said. The agency still struggles with getting investigators to use social media as a tool in their investigations and Benjamin points out that training is ongoing to remind deputies about things like not to post photos of themselves in uniform on their personal pages. In Florida, The Collier CSO worried at first about having to deal with a barrage of negative comments on its Facebook page, and with Florida’s broad public records law, further concern was over how to store and document anything that was removed. PIO Karie Partington said negative comments have been nearly non-existent and anything that has been removed is saved and documented. She added that her agency uses Facebook’s archive feature regularly to store posts in case someone requests to see them. Since then, Collier CSO has created a social engagement program rivaled by few, including a modern and slick website, its own monthly TV show called On Scene, a department newspaper, CodeRed for emergency alerts, a YouTube Channel, crime mapping, and an iPhone application to push real-time crime information to citizens, a Twitter account, as well as what is probably one of the best law enforcement Facebook profiles in existence, IMHO. 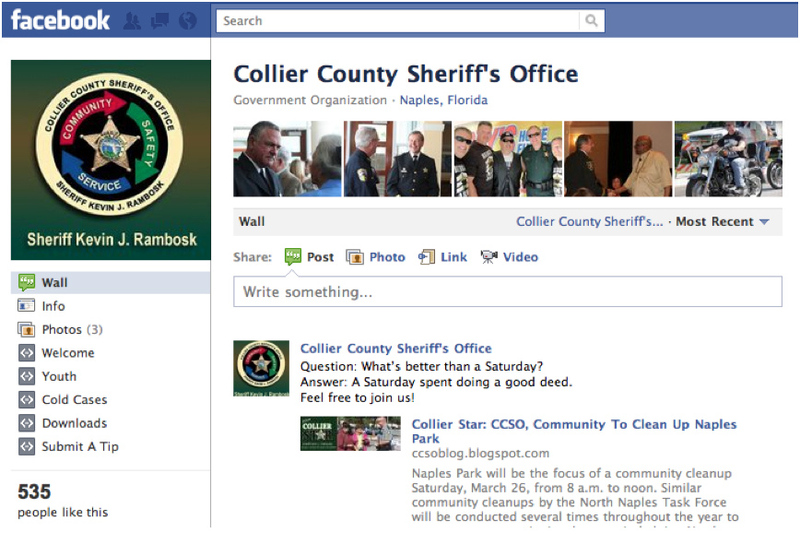 The Collier CSO has installed extra pages on its Facebook profile including a Welcome page with links to its other social media profiles, a Cold Cases page, a Youth page with cyber bullying information, A Downloads page for CCSO screensavers and a Submit a Tip page. Most importantly however, is that the CCSO Facebook page is completely open to citizen input and features regular engagement between citizens and the Collier CSO. The three Sheriff’s Offices are in different stages of social media adoption but are on the same page with acceptance of risk versus reward. They’ve learned to modify their approaches, anticipate problems and deal with any hurdles as they arrive. There is one social media risk to law enforcement that will require more aggressive, vigilante and consistent countermeasures. The one true risk is protecting officer safety online. In fact, of the risks law enforcement agencies are dealing with in regard to social networks, officer safety online is a serious issue and not one that anyone has underestimated. It was Maricopa CSO that discovered a disk last fall containing about 30 Facebook profile photos of sworn and civilian members of Phoenix PD who are thought to have been targeted by the disk creator(s). The source of the disk and number of disks that have been distributed are unknown. 1. Facebook settings changing regularly. For example, it used to be that you could protect your Facebook comments with your privacy settings. With a recent change, if you post a comment to one of your friends, it automatically goes to their newsfeed and to those of all their friends. Something you say could be read by people you don’t know, even with comment settings set to “friends only”. This is just one of dozens of worry spots. 2. 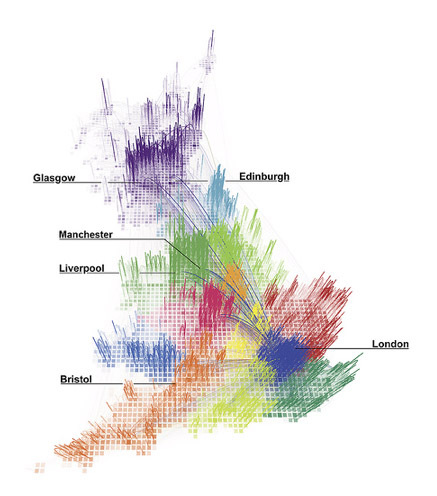 Geo-location based Facebook Places. Unless disabled, this feature can be used by others to check people into places where they may not be, or they may be and but didn’t want anyone to know. It can also be used to create alibis or frame someone. Without this knowledge, investigators could be duped by this. 3. Knowing who your friends are. 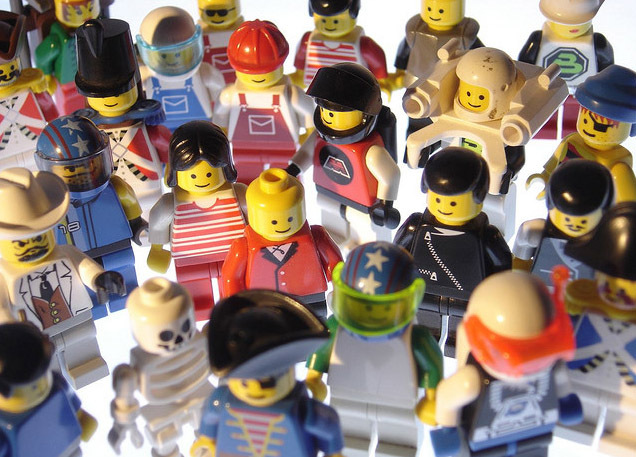 Numerous fake Facebook profiles exist; many are those of phony law enforcement officers. These profiles are used to infiltrate pages of real officers and law enforcement sites not only to gain intelligence, but also to build credibility with others. I’ve seen law enforcement officers I know as friends of these bogus profiles. When I ask them if they know them to be real people, they’ve responded “no, but they’re on xyz site always commenting”, so they’re presumed to be real. That’s part of the ruse. Some of these people are out to cause real harm to law officers and friending them is the virtual equivalent inviting them into your home. 4. Facebook is introducing facial recognition technology. This technology is proving so accurate that childhood photos can easily be linked to current photos to i.d. a person potentially eliminating a chance of an undercover assignment, among other issues. 1. The metadata embedded in photographs. The information provided not only provides the make and model of the camera (or smartphone) that created the photograph, but may also provide name(s) of persons associated with the device. 2. Any application or device which tracks geo-location. Many law officers think that disabling geo-loco capabilities on their phones is all they need to do. But if they tweet from their smart phones or use the mobile Facebook app, geo-loco capabilities should be disabled within those applications too. Put these last two points together and thugs can take an officer’s digital photos of his or her children and learn where they live, where they learn karate or the location of their daycare. An officer who posts photos of his kids (bad idea anyway) probably also tags them with their names. So now Joe thug has all he needs to find and lure them. Nearly all the risks of social media adoption are manageable. The one risk, which justifies significant concern, is keeping law enforcement professionals safe offline by convincing them to take serious precautions online. To borrow from what is now an old cliché, “If you don’t talk to your deputies about safe surfing, who will? This article was previous published in the NSA’s Sheriff’s Magazine. Social Media Quick Tip: Should You Tie Your Facebook & Twitter Accounts Together? Although widgets exist to auto-post everything from one to the other, should you do it? The short answer is this: If everything you tweet is on Facebook (FB) and everything you post on FB is on Twitter, you might annoy some followers and lose them. Don’t let it be a replacement for actually using Twitter for what it’s for. Send other content-rich information in separate tweets. When you’re writing a post to Facebook, remember it’s going out on Twitter too. Sometimes, a FB post, when read as a tweet, can be nonsensical. On the flipside, sending all your tweets to FB is a bad idea. All it does is fill up your FB page and pushes the meatier content down. Post about the same events and issues, but refrain from letting one do the other. You should always use Twitter to drive traffic back to your FB page, blog or YouTube channel. But do it with separate, carefully written tweets. This Social Media QuickTip was first published on LawOfficer.com.